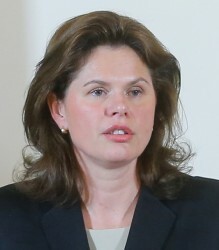 After the Prime Minister Alenka Bratusek has lost the crucial vote against Zoran Jankovic, the Slovenian coalition is close to break apart. The ailing country faces new elections. Yesterday in the late evening, Slovenia´s biggest party PS (Positive Slovenia) has held a crucial vote. Zoran Jankovic, mayor of the Slovenian capital, won the vote against his successor Alenka Bratusek. This article includes a total of 282 words.